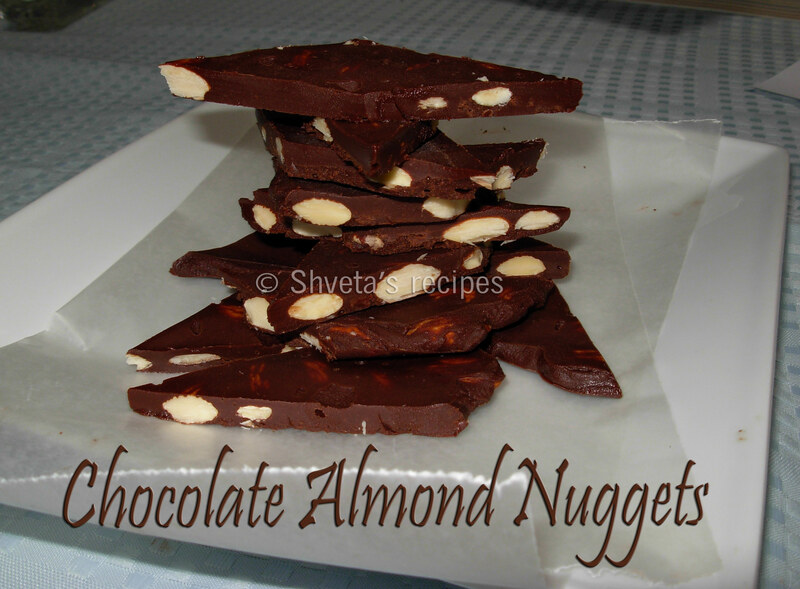 Chocolate with nuts is a classic combination. This homemade fudge is hard to resist. 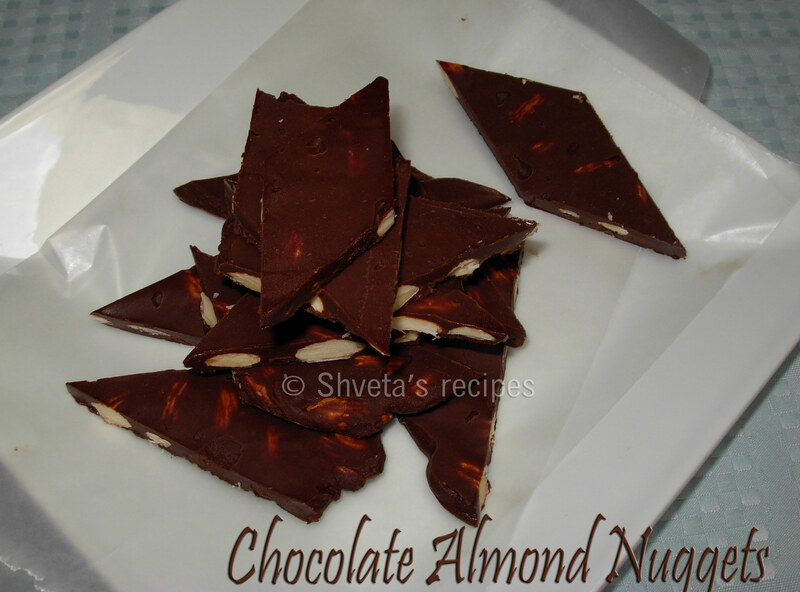 Enjoy this easy to follow, simple recipe for Chocolate lovers. Melt chocolate over double boiler. Add cream and stir in sugar. Keep stirring until it becomes smooth. Add butter, vanilla extract and stir to blend well. Stir in Chopped almonds. Mix well. Butter a smooth plate. Pour the chocolate mix into the plate and refrigerate for couple of hours. Cut into desired shapes. Store between parchment paper to avoid sticking. A big Thanks to all my readers! I would like to share the joy of celebrating a great milestone with you all. The blog hits 200,000 views! Yes, and with all fairness it doesn’t count my own visits to the blog . This wouldn’t have been possible without you. Hope to get your support in the future too. I’ll continue bringing vegetarian delights to you each week. Rasmalai is a delicate and flavorful Bengali dessert. It is easy to prepare at home with a few ingredients. 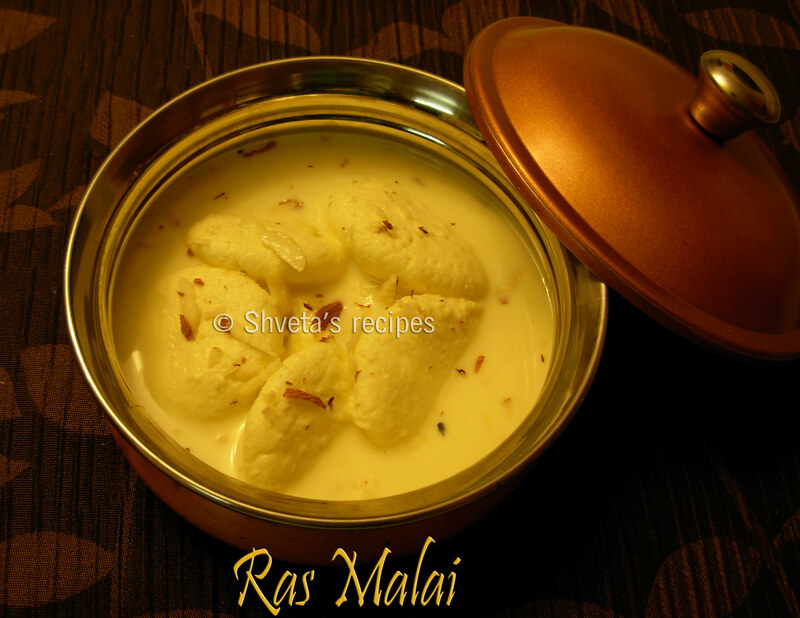 Rasmalai is milk patties soaked in cardamom and saffron flavored milk. It has very delicate flavor and is served chilled after the meal. Squeeze fresh lemon juice in a bowl and keep aside. OR if using vinegar, add 1 tbsp vinegar to half cup water and keep aside. In a heavy bottom pan, boil half gallon whole milk. When milk comes to a boil, gradually add lemon juice or vinegar solution to it. Stir the milk gently and it starts curdling. Very soon the whey is separated from the curdled milk. Turn the heat off. Now in a strainer, line the muslin cloth. Strain the above curdled milk from this cloth. The solids on the muslin cloth are “paneer” or “cheena”. Wrap the paneer in a muslin cloth and rinse it under cold water for couple of times. Rinsing helps in taking out vinegar or lemon taste from the paneer. Squeeze well. Hang this wrapped paneer to take out the excess water squeeze the cloth, or press the wrapped paneer under a heavy pan for about one hour. Paneer or cheena is ready to make rasmalai. Take fresh paneer or cheena on a large plate or surface. Knead it for at least 5 minutes. Make soft and smooth dough of it. Kneading is one of the most important parts of making rasmalai. Once the paneer becomes very soft and smooth, divide the dough into 10 equal parts and roll them in smooth balls and flatten them a bit to form small discs shape. Meanwhile, on medium high heat in a large vessel, boil 6 cups of water and add 1 cup of sugar to it. Mix well. 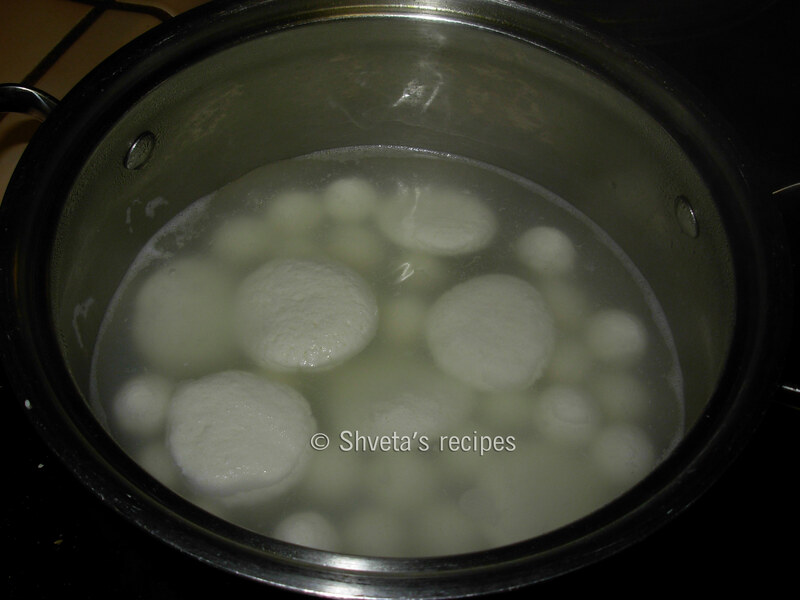 Add the above paneer discs to the boiling water very gently. There should be enough room for the discs to expand. Cover the lid for 2-3 minutes. Stir gently and let it boil for 5-6 more minutes. Check the rasmalai patties, as they are almost doubled in size. Turn the heat off. Carefully take the patties out of the sugar syrup. Squeeze them gently. Keep aside. To prepare the malai, take the remaining half gallon milk in a non stick pan and bring it to a boil. Let it simmer on low heat for 15-20 minutes, stirring occasionally. Milk reduces and starts to thicken. Add half cup sugar, rose essence, cardamom and saffron. Mix well. Now carefully add rasmalai patties to this milk. Let it simmer for 5 minutes. Turn the heat off and let it cool completely. Keep it in the refrigerator. Garnish with sliced almonds and pistachios and serve chilled. Soak green moong dal overnight. Next morning, grind moong dal using very little water. 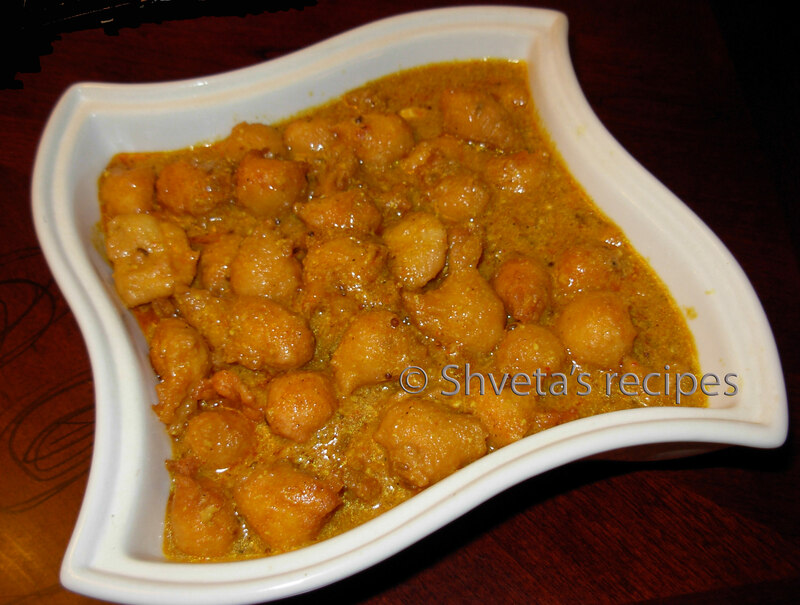 In a bowl combine, moong dal mix, besan , turmeric powder, red chili powder, jeera, baking powder and salt. Mix well and prepare a pakora consistency batter. In a pan, heat the oil for frying. Deep fry small mangode in medium hot oil using small spoon. Fry till mangode turns golden brown. Drain them on kitchen towel and keep aside. In a bowl, add yogurt, besan, turmeric powder, red chili powder, coriander powder and salt. Mix well till it becomes smooth. Keep aside. In a pan, heat 2 tbsp cooking oil. Add bay leaf, asafetida powder, cumin seeds, dry red chilies and sauté. When it crackles, add ginger paste, fried mangode, tomato puree and yogurt mixture. Add one cup of water and mix well. Let it simmer 3-4 minutes. Add garam masala powder and its ready to serve. Garnish with fresh chopped cilantro and serve hot with fresh chapatis or fragrant basmati rice.